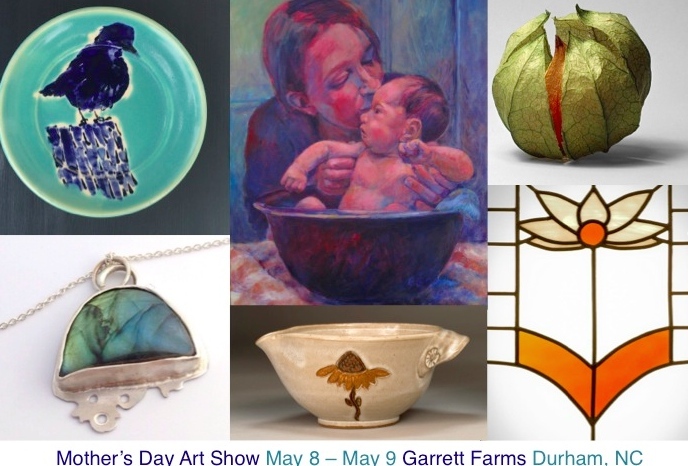 Please Join us to celebrate Durham artists and durham families as we give a portion of the proceeds to durham crisis response center. Friday, May 8, 5-8 pm Reception with the Artists. Saturday, May 9, 10am- 5pm, Open to the Public. My work in the news: Thank you Ms. Meyer of the Durham News and Observer Arts Section, who wrote about my piece, Never Give up in April, 2014. 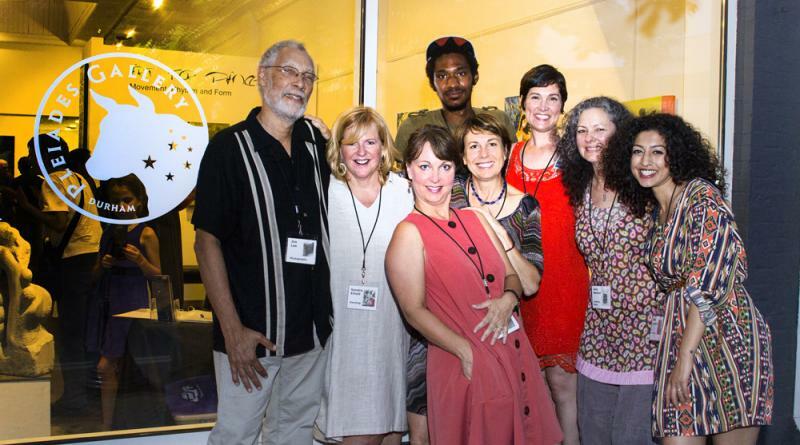 I was a proud founding member of Pleiades Gallery with nine Durham area artists. Jim Lee, Photographer, Sandra Elliott, Saba Chaudry, Calvin Brett and Kim Wheaton, Painters. Renee Leverty, Metal and Jena Matzen, Jeweler Extraordinaire. Missing from the photo Jim Adams, Sculptor and Darius Quarles, Painter. Never Give Up, hot out of the Raku ashes, April 2014. This photo shows "Never Give Up" covered in smoke, before it is scrubbed and mounted onto a wood base. She succeeded. 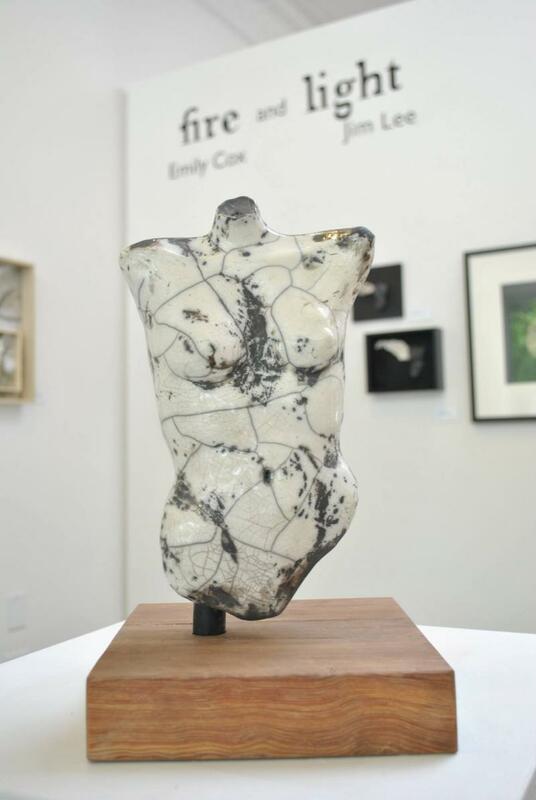 Her clay, figurative female pieces in the show, made using the ancient process of raku firing she learned at Claymakers, are stunning. “You may not even know why you are attracted to a piece, but my designs are aimed at taking away all psychological distractions, hopefully,” Cox said. When Cox pulled “Never Give Up” from the can, her gloves caught on fire so she set it on the ground. "The back has a surprising texture, she said, as grass and pine needles became incorporated in the glaze." Click here to learn Emily's story. My wood frames are handcut by Karl Crumb of Carrboro, NC and John Reeves of Durham. I sand, paint and attach posts to prepare for mounting tiles. My figure sculptures from the Fire and Light exhibit are mounted on the reclaimed wood called "Mateo wood" made with Peters Wood Designs of Durham.